A lip locking scene of actors Deepika Padukone and Vikrant Massey from their upcoming film "Chhapaak" has been leaked online. In the videos that have been doing the rounds on the Internet, the actors..
#DeepikaPadukone was again captured with a new look of Laxmi Agarwal but this time it was during the shoot of her school days. We cannot take our eyes off from Deepika Padukone. #RanveerSingh and #DeepikaPadukone share the same Lucky number that's 10, Watch the video to know why. #SalmanKhan Sonakshi Sinha's Dabangg 3 in major trouble, #DeepikaPadukone new video from #Chhapaak released, Alia Bhatt has a Pakistan connection are among the Top 10 News In Bollywood Now Daily..
A leaked scene from Deepika Padukone and Vikrant Massey starrer ‘Chhapaak’ goes viral where Deepika is clearly seen in the look of Laxmi Agarwal. Watch the video now! Deepika Padukone's Chhapaak latest look, Karan Johar and #KanganaRanaut turn best friends, #KatrinaKaif and Malaika Arora set temperatures high with their Bikini Look, #KabirSingh teaser are amongst..
#DeepikaPadukone is soon going to impress everyone with her film #Chhapaak. Another picture from her picture goes viral. 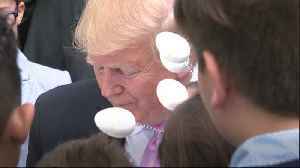 Watch the video to have a look. Deepika Padukone in Laxmi Agarwal's look was spotted On the streets of Delhi. Watch the video now! #DeepikaPadukone is all set to impress everyone with her next film #Chhapaak. And the first look has already created a stir. 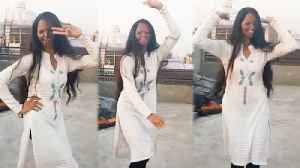 Watch the video to see how she reacted to the response that she is getting.. Finally #MalaikaArora and #ArjunKapoor to get married, Priyanka Chopra praises Deepika Padukone's #Chhapaak, Urmila Matondkar joins congress are among the top 10 News in Bollywood Now Daily Wrap. Watch Priyanka Chopra's reaction when she saw Deepika Padukone Chhappak look. Saif Ali Khan and Ajay Devgn's Taanaji The Unsung Warrior to clash with Deepika Padukone's Chhapaak in the year 2020. Which movie are you excited for? Watch the video now! #RanbirKapoor and #AliaBhatt share a passionate kiss, #PriyankaChopra, and Nick Jonas Miami vacation, Deepika Padukone Chhapaak to clash with Ajay Devgn's Tanaji are among the Top 10 News In Bollywood..
Bollywood actress Kangana Ranaut's sister Rangoli Chandel, an acid attack survivor herself, says she is the biggest cheerleader of the upcoming film "Chhapaak". 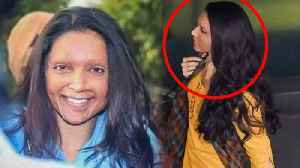 Actress Deepika Padukone, who will be..
Actress Deepika Padukone, who is so excited about "Chhapaak", which will tell story of an acid attack survivor, shared her first look from the film and left everyone stunned. Indeed, Deepika’s first..
Deepika Padukone essays the role of Malti, an acid attack victim in Chhapaak and Vikrant Massey plays Alok Dixit, her boyfriend. The team wrapped up the Delhi schedule earlier in the day. 'Chhapaak', starring Deepika Padukone in the lead is already halfway done! Director Meghna Gulzar announced the wrap of a successful schedule in Delhi by taking to social media to post photos with the.. The film is being directed by Meghna Gulzar who previously helmed 'Raazi'. 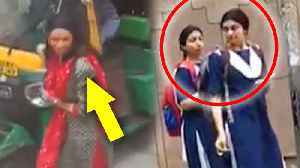 Deepika Padukone is a school girl in this leaked video from the sets of Chhapaak! Deepika Padukone and Vikrant Massey's Chhapaak which is being helmed by Raazi director Meghna Gulzar will release on January 10, 2020. Bollywood star Deepika Padukone is one of the most talented actresses in B-town. The star gave us some blockbuster films like 'Padmaavat', Bajirao Mastani', 'Raam Leela' and many others. The actress is..
Deepika plays the role of acid attack survivor Laxmi Agarwal in 'Chhapaak'. Deepika Padukone is currently prepping up for his next film 'Chhapaak', a film based on an acid attack victim Laxmi Agarwal. 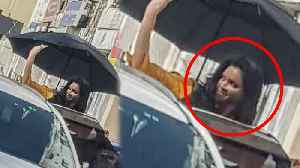 Pictures and videos from the sets have been doing rounds the internet and..
Deepika Padukone stars opposite Vikrant Massey in Meghna Gulzar's film Chhapaak. It is based on the life of acid attack victim Laxmi Agarwal. Deepika Padukone is all over the internet with her latest picture and videos that got leaked from the sets of her upcoming film, 'Chhapaak'. 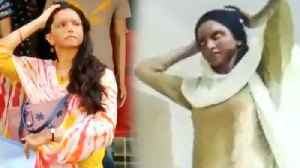 In the film she portrays, an acid attack survivor, Laxmi..
Deepika Padukone left fans stunned when she announced that she was making her next film, ‘Chhapaak’ based on acid attack survivor Laxmi Agarwal. Deepika Padukone clicked during the shoot of 'Chhapaak' in Delhi. The actor is seen posing with all smiles in her look from the film. Deepika Padukone is in New Delhi filming for Chhapaak. This series has become a routine for Deepika Padukone nowadays. Deepika can be seen in her Malti avatar, as she plays the character of the acid attack survivor in the movie. Deepika Padukone diligently does her homework for 'Chhapaak', check pic!